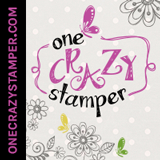 Lora's Crazystamper Blog: Takin' a bite out of Spring!! Takin' a bite out of Spring!! Today I have Chompy part of the April Release from Your Next Stamp. I just love this little dude who is enjoying "Takin a bite out of Spring"!! Hope you like him to! If you have a chance drop by my website to see the "Spring Sale". Check out the Clearance section HERE! Shop early to get in on the great bargins!! Cute card! Love that image and your colouring is fab! OMG he is super cute, love him...Thanks for sharing....great job! Too cute, great image! Enjoy your weekend! !